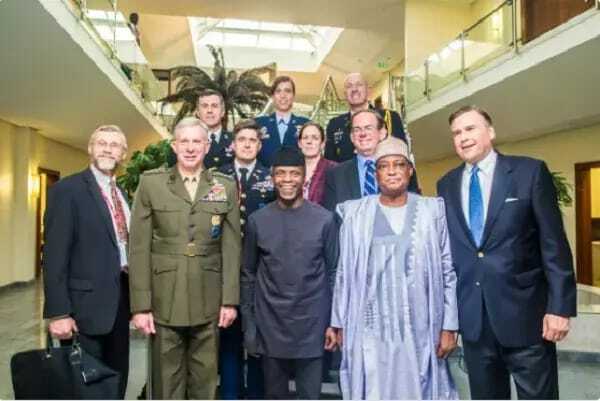 Nigeria’s acting president, Professor Yemi Osinbajo has continued to executes the duties due him as occupant of Aso Rock at the moment. Some very important personalities have visited the acting president within the course of the last two days. 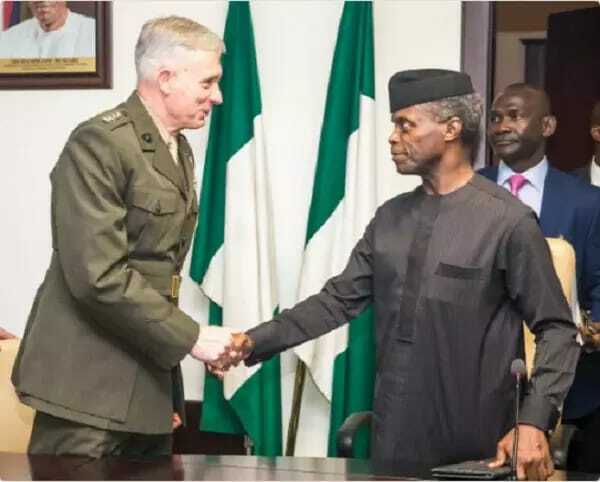 On Wednesday, February 22, Osinbajo had the pleasure of receiving General Waldhauser, Commander of the US-Africa Command and Hon. Symington at the Aso Villa. At the meeting, General Waldhauser expressed the readiness of the US government to accelerate its contributions to the war on terrorism. 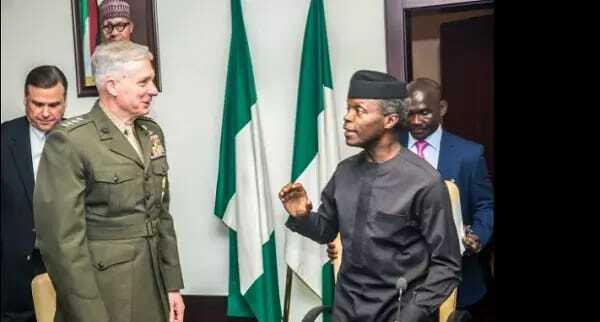 Acting President Yemi Osinbajo welcomes General Waldhauser, as US pledges to aid in totally crushing the insurgents within the northeast of Nigeria. 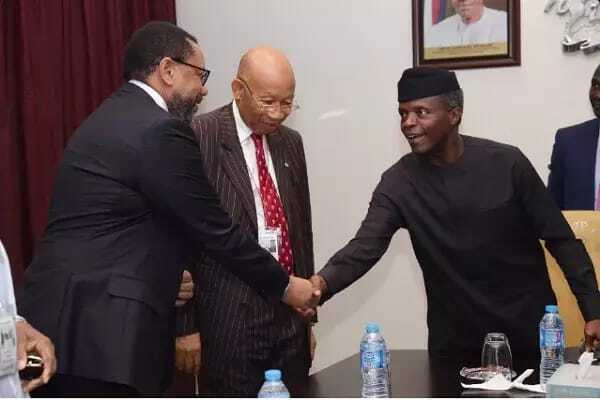 Similarly, Prof Osinbajo yesterday received a Management Team delegation from MTN, at the State House.